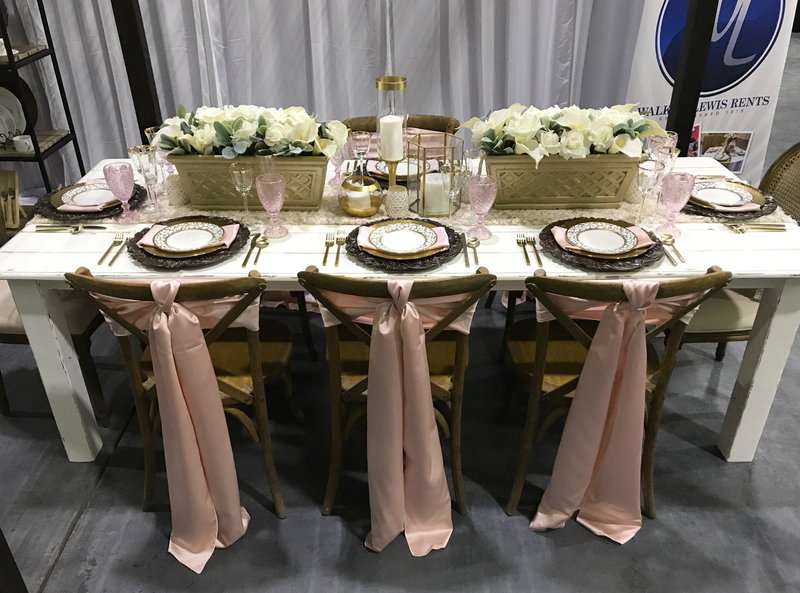 On Sunday, August 20, 2017, we had the pleasure of attending the Premier Bride Showplace bridal show in Fresno! For our booth, we showcased a number of exciting items, including exciting new flatware, glassware, and china options. 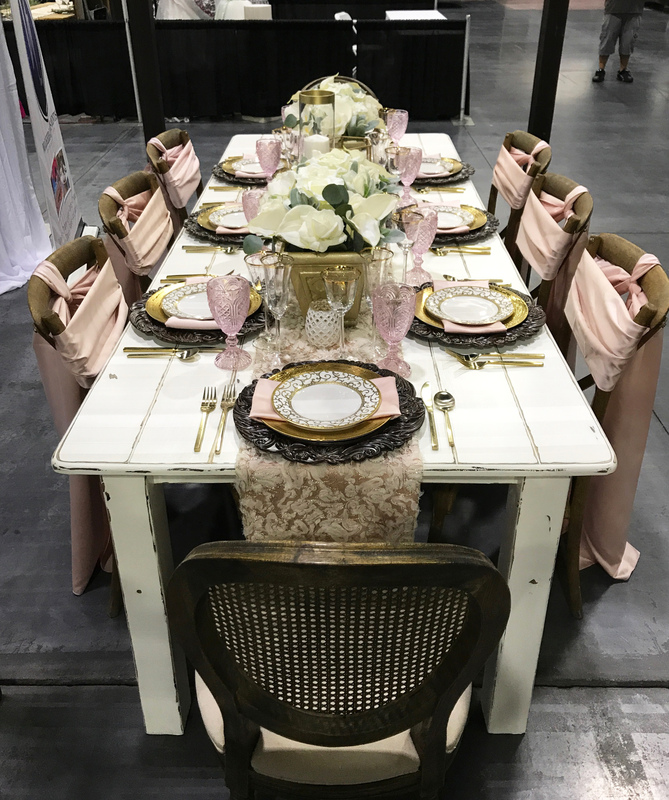 Our booth featured this table design perfect for a wedding, bridal or baby shower, birthday party, and beyond. The design is anchored by our new distressed white farm tables. These new tables are the perfect neutral foundation for a multitude of styles. Inquire at our showroom locations about this new, specialty table selection! 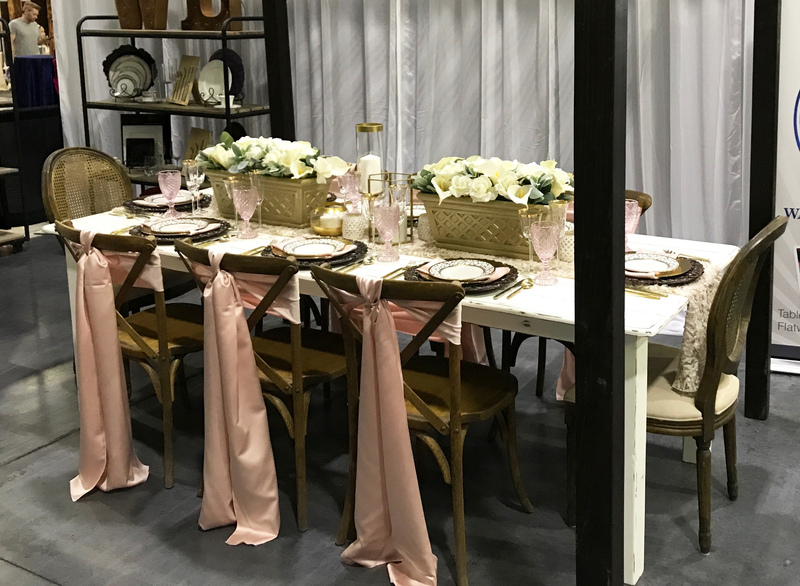 Atop the table, we featured the luxurious Patina Sheer table runner sitting on top of a Satin Lamour Nu Blush table runner. The specialty Patina Sheer table runner is a delicate lace design with metallic edging; a gorgeous look resembling flower petals. 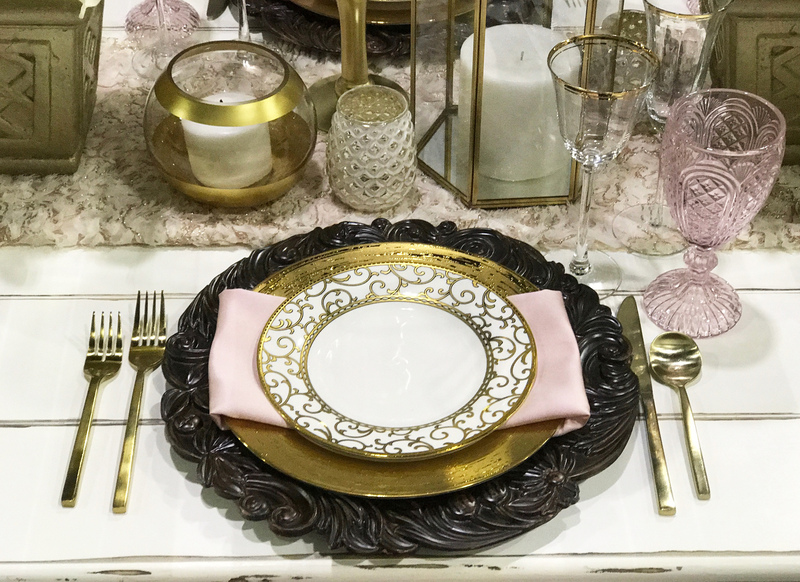 Each place setting is anchored with our farm lacquer charger and a selection of china, flatware, and glassware with gold touches. 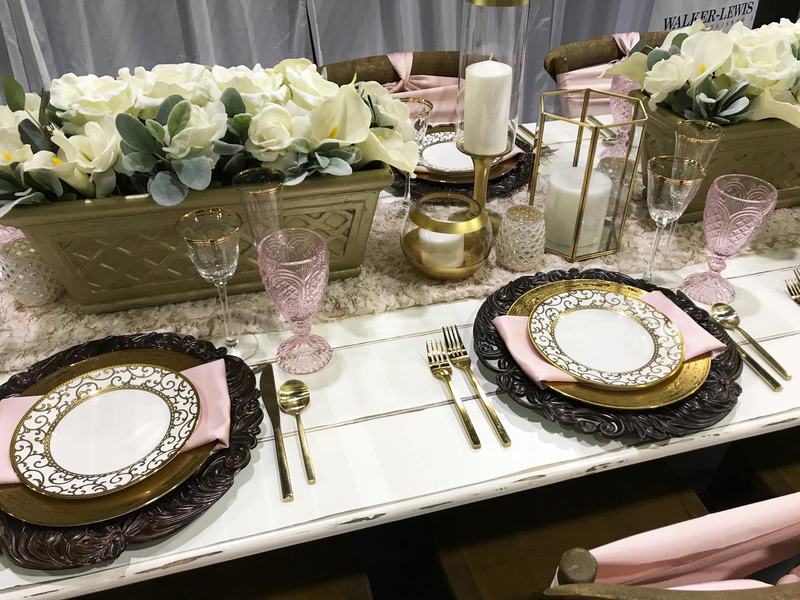 The added touch of our new pink carousel vintage goblet really sets off each table setting and the modern gold theme is carried through to the eclectic table decor and accessories. Simple white and ivory florals in soft gold flower boxes flank each side of the table. Guest seating includes both the Farm Chairs and our new Vineyard Chairs with padded seat. Consider this look for your next event, your guests will love it. Look below for products used to create this beautiful design and make it your own!